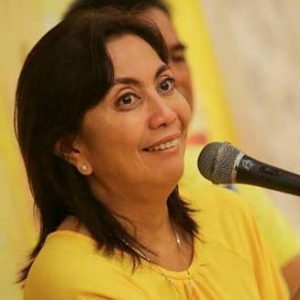 Yesterday (10 June 2016), Vice President-elect Leni Robredo, reiterated her opposition to the death penalty, but said it was neither up to her nor President-elect Rodrigo Duterte—but Congress—to debate and decide. Leni told the reporters in Kananga, Leyte that “From the very start, I have been very open about my position on the death penalty. I have always said I am against the death penalty,”. Leni is diametrically opposite to that of Duterte, the iron-fisted mayor of Davao City who has often expressed his desire to see criminals hanged in public. Duterte’s pick for the next Speaker of the House of Representatives, Davao del Norte Representative Pantaleon Alvarez, earlier said the revival of the death penalty would be one of his legislative priorities. Leni, who was a human rights lawyer before entering public service, said it would ultimately still be up to the legislature to pass a law reimposing the capital punishment. “Whether the death penalty will be revived or not, it’s up to Congress to decide. It’s not up to me or to our President. It’s better to leave it to Congress to debate. But my position does not change,” Leni said.